Hayama Coffee Co. and Fashion Designer Junko Koshino Collaborate to Open the First Cafe in Japan Showcasing Swiss Water(R) "Coffee Without Caffeine"
Hayama Coffee, the Fukuoka, Japan based ultra-specialty coffee shop, is set for a July 29th opening. Pushing the limits of coffee quality and setting its sights on establishing an evolutionary and innovative customer experience, the brand alliance endeavors to create a multi-sensory coffee experience. 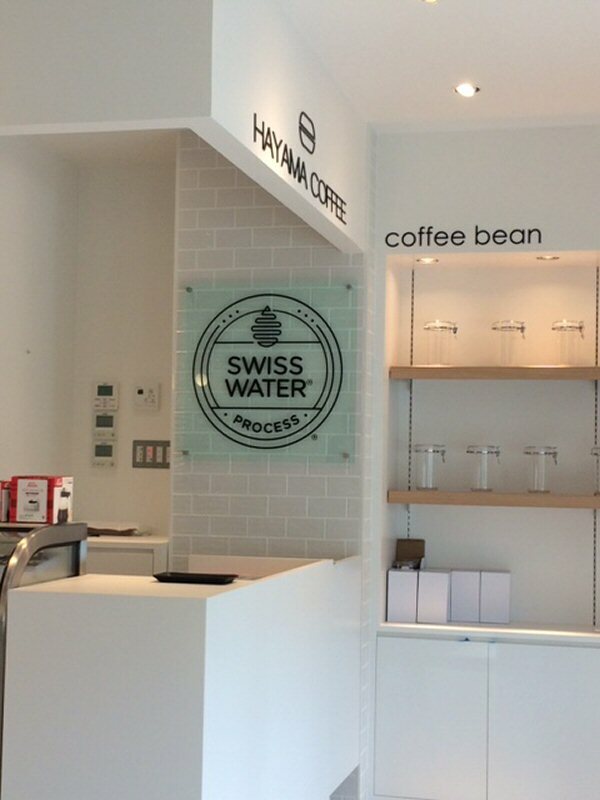 As the premier destination for coffee without caffeine, the idea was developed after the success of Swiss Water's® New York City pop-up shop in the fall of 2015. The NYC pop-up showcased coffee without caffeine served to customers using various brew methods and coffee origins late into the evening. Hayama Coffee will offer an amazing coffee experience to coffee lovers who want to enjoy delicious coffee all day, late into the evening and for any occasion. "We're excited that Hayama Coffee is leading the way to deliver a new vibrant life to coffee by bringing its customers wonderful and delicious coffees without caffeine. It is a forgotten aspect of coffee in that it can be tremendously enjoyed and savored without caffeine late into the day and evening," says Frank Dennis, President & C.E.O. of the Swiss Water Decaffeinated Coffee Company. "This café concept is truly a global first and demonstrates that coffee can compete with the beverage alcohol industry too." Specializing in amazing coffee without caffeine, Swiss Water® enables the ultimate coffee lovers' dream - the ability to drink exceptionally fine coffee all day long, without experiencing any of caffeine's side-effects when you don't want them. Swiss Water® Process is an innovative process that removes caffeine (and nothing else) from specialty coffee. Their small batch process protects the origin taste characteristics of the bean by using water from the Coast Mountains of British Columbia as opposed to Methylene Chloride or Ethyl Acetate. As a contributor to this collaboration, Swiss Water® removes caffeine so Hayama Coffee can deliver the full sensory experience and continue to shape the idea that flavor and characteristics can still exist in any specialty coffee preparation, even with the elimination of caffeine. Hayama Coffee Co. Ltd, which was established in 2000, is the roaster of high quality, handcrafted coffee beans. With 15 stores throughout Japan, they are one of the premier purveyors of quality coffee in the region and are continuing to push the limits of what an exceptional customer experience can be. 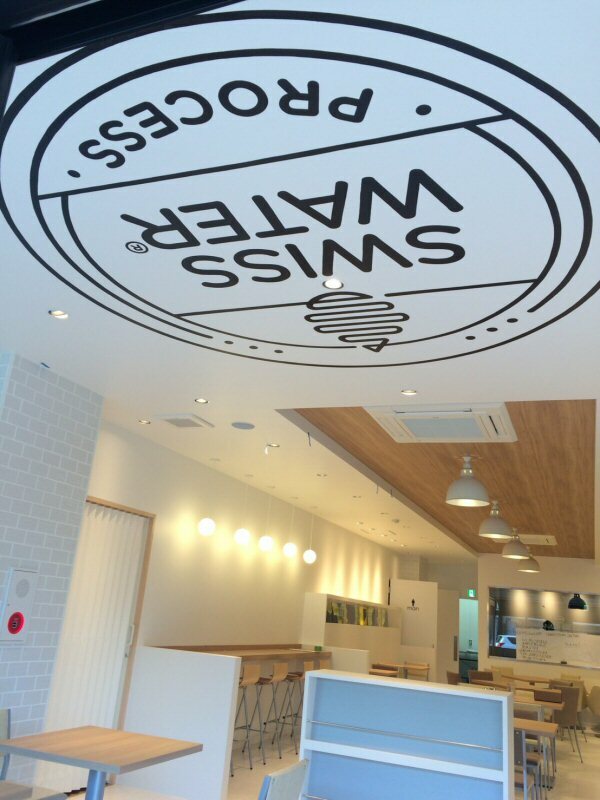 This new café will further expand their brand reach across Japan. Junko Koshino, one of Japan's most highly acclaimed fashion designers, will lend her expertise to the design of the café. Her boutiques are all over the world, including Singapore, China, Paris and New York. This is not the first time that these brands have collaborated; in 2015, Hayama Coffee, Koshino and Swiss Water® partnered to launch a line of four caffeine-less coffees called Café de Junko.